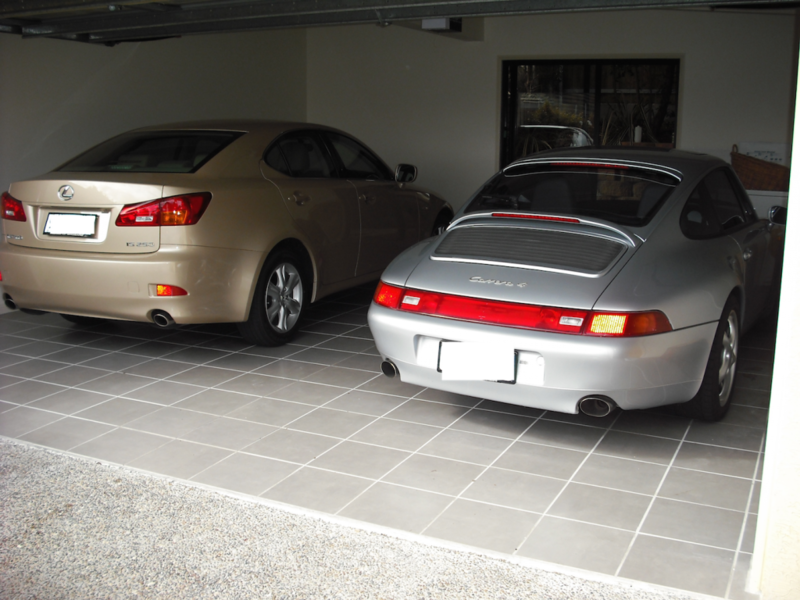 I was instructed by the client to source a tile which would complement the building and also work with the Porsche. It also had to be a durable tile, easy to clean and non tyre marking. Tip. Place expansion joints were required and use flexible concrete tile glues. This work was done in 2005 and it still looks good today.